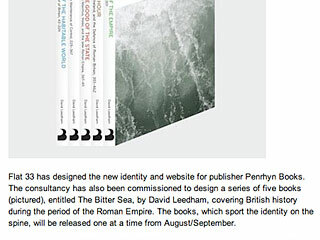 FL@33 has designed the new identity and website for publisher Penrhyn Books. 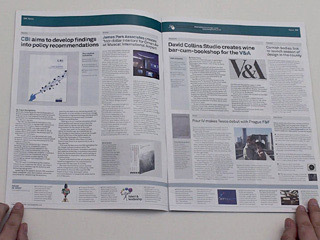 The consultancy has also been commissioned to design a series of five books (pictures), entitled The Bitter Sea, by David Leedham, covering British history during the period of the Roman Empire. 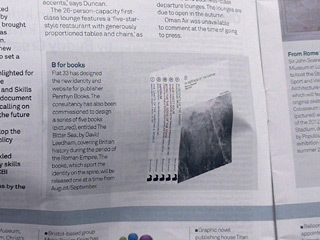 The books, which sport the identity on the spine, will be released one at a time from August / September.